Since we opened Seibiant nearly 3 years ago (really???) 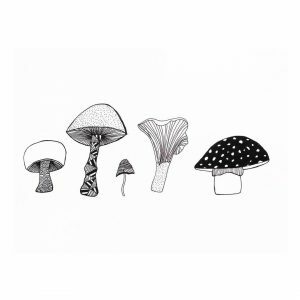 we have been steadily moving towards having as tiny a carbon footprint as we possibly can. We even got to be a finalist in the Green Business of the Year at Conwy Business Awards last year! We’ve always composted our organic waste, so all our tealeaves, coffee grounds, food waste, gets composted either by us or by our friendly allotmenteers. Paper we recycle, plastic we recycle – milk cartons are fortunately effectively recycled locally. We even have a couple of Ecobricks on the go! 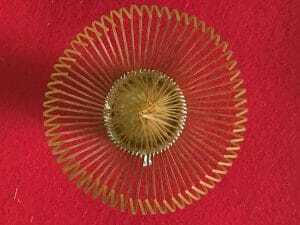 http://www.ecobricks.org. Tetrapacks for our non-dairy milks are recycled. Lots of us are doing the same thing – and these numbers are growing daily. 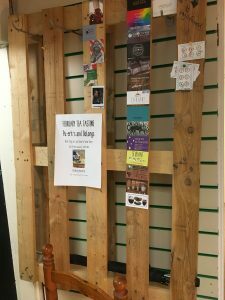 We reuse and recycle everything we can, from those hessian coffee sacks to pallets that our kit arrives on, and as you know, our counters are all made from upcycled scaffolding planks! Our biggest bugbear though has been single use cups for takeaway coffees and teas. Now we don’t sell hundreds of takeaway drinks, we’re not a café after all, but we were very much aware that our specially selected compostable cups and lids, were ending up in standard bins around Conwy. Now we’ve effectively composted these in our own compost bins, and in summer they really do break down completely in 12 weeks, but we found it really frustrating seeing our proudly stamped cups in the bin! 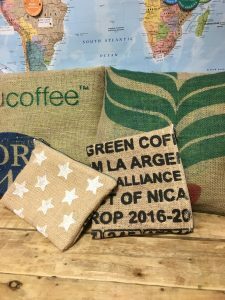 Did you know that only 1 in 400 (0.25%) of the estimated 2.5 billion plastic coated coffee cups used in the UK each year are recycled. 4%, approximately 500,000, are littered every day. The rest (95.75%) go into landfill. We should be truly ashamed. This has motivated us to take The Big Step – and we are now a no more single use takeaway drinks shop. Our customers have known for a long time that we were working towards having no single use takeaway cups at all, and we used our very last one yesterday. We may lose some custom, but we at Seibiant think that this thing is bigger than just us, and we have to a) set an example and b) give you a bit of a kick up the backside to do the right thing. So does this mean that you can’t have a takeaway drink from Seibiant? No of course it doesn’t. But you do need to be more prepared – how many of us have at least one reusable cup at home (I’ve got 3), or in the car, but forget to bring it, and end up getting a single use cup of coffee? 1) Come prepared with your very own cup – we absolutely don’t mind what this looks like – we already fill a huge variety, from the prettiest china cups from Blush, to a selection of bamboo cups from Blink, to fancy metal cups from Vinomondo. We also don’t mind if it’s dirty from last time – we will give it a quick rinse if you want, but don’t mind if you don’t! 2) You can buy one of our bamboo cups, with our own logo on it – to remind you where to get your coffee from. These are £4.50, your first drink is free. The cups come from our friends Sional in Llanfairfechan http://www.sional.co.uk. We will also have a more expensive range of reusable cups over the next few months. 3) And if you’re one of these people who has a cupboard full of reusable cups which you keep forgetting (shame on you!! – I have three, I feel your pain!) you can rent a cup from us for the same price, but you don’t have to keep it – and you get your rent back in full when you bring the cup back to us! We will then wash the cup, and it’s back on the shelf for the next person who wants to #rentacup! 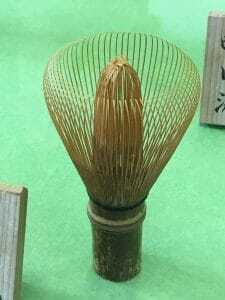 Now, we have a transition period, during which we have no single use cups, and we have no bamboo cups to buy or rent as yet. So what’s the plan? If you’re a regular, you’ll know that we have a lovely selection of mugs in the shop that you can rent for £1, bring it back, and get your quid back – or if you choose not to, you’ve got a lovely mug for £1! The mugs all come from charity shops, so everybody gains! Any £1’s left over in the pot at the end of the month goes into one of our charity boxes in the shop, so to Idlewild Animal Sanctuary or OneHeart – the homeless charity in Bangor. And if you fancy doing a Marie Kondo KonMari on your mug cupboard, to paraphrase Emma Lazarus “Give me your tired, your poor, your huddled masses yearning to breathe free”, so long as they’re unchipped and unstained – we can give give them a new life! 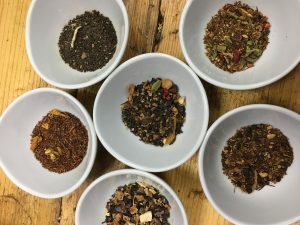 So we started off last evening’s tea tasting by confessing that this was going to be as much a conversation about organic and biodynamic teas, and where they actually fit in the tea story – ours personally, our customers’, and where they fit in within the context of tea, from daily tea to speciality tea. Iwan and Carissa spent the summer picking grapes in Germany, on a natural vineyard, lots of bugs, wildlife, and the resultingly amazing different wines, that had nothing added – not even yeast, and nothing taken away – seriously clean farming. 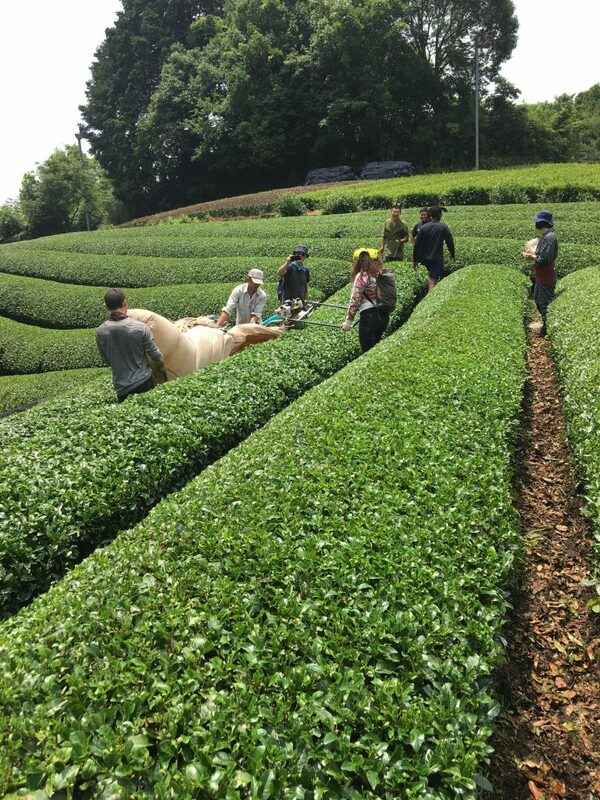 I joined them after the harvest and got fired up about how this method of farming also applied to tea. 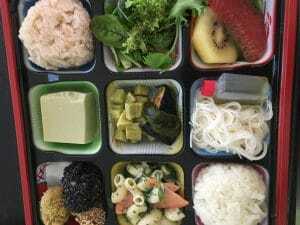 After my trip to Japan, I was already getting more into the idea that we should be moving towards organic farming, but really knew very little about it. So we started off last night confessing our ignorance, and hoping that the people who had come along, might be there because they’re interested in organic and biodynamic farming, and could add to our knowledge. 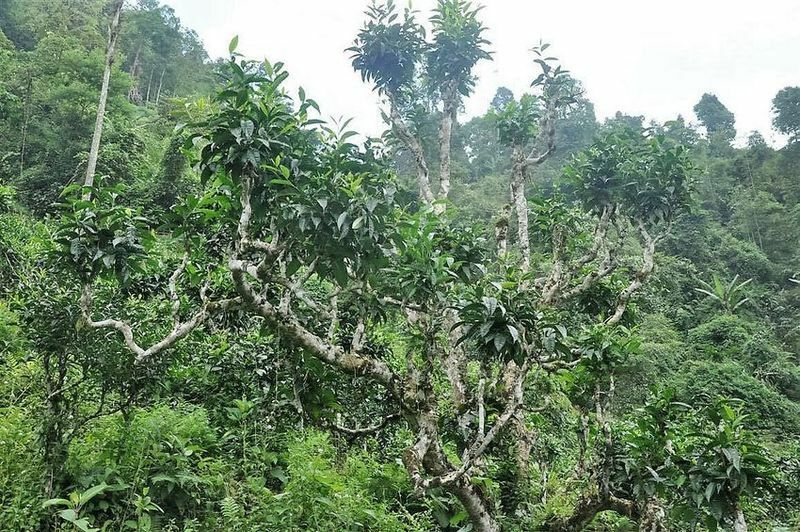 Tea as a crop is thousands of years old, originally growing as trees in forests of tea trees probably in Yunnan, and families would tend to their own trees, picking leaves, and making their own tea, mostly for medicinal purposes. In fact, the story of the origin of tea as a drink is of the man who sat down after battle, boiled some water, and a leaf fell from the tree into his hot water, hence the first cup of tea! 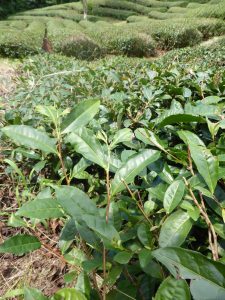 The story of how tea came to be a worldwide drink has many versions, one being that tea plants and seeds were smuggled out of the country, and eventually were grown in other countries. The British were a significant factor there and established huge plantations in India and Africa with commercial production of tea in India beginning with the arrival of the British East India Company, at which point large tracts of land were converted for mass tea production. 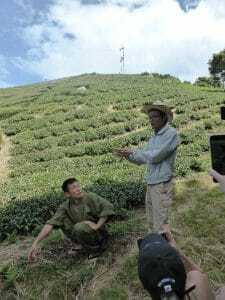 So tea went from being a wild plant, living in a biodiverse environment, where the geography, climate, other plants, in other words, the terroir, resulted in a very different drink each year, and on different sides of the same mountain, to a monoculture, where consistency and volume were the main requirements. In order to achieve the maximum crop, tasting exactly the same from one harvest to the next, it was necessary to eliminate all those things which create the difference. The only way to do this is by controlling the environment. We started by welcoming guests with an organic chai from Assam, which we buy direct from a small farm. 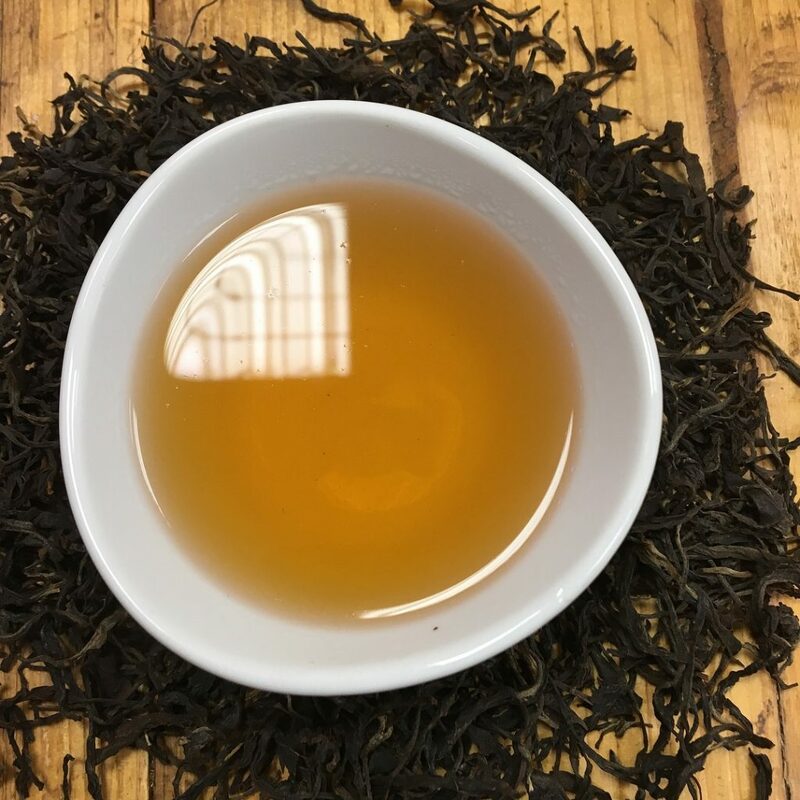 The next tea was Russian Caravan, overall a fairly consistent, generic tea blend, which we have tended to buy from a wholesaler in our usual quantities, so we assumed that this was produced in a fairly standard way. We had also managed to source an organic Russian Caravan, so served them together, so guests could compare – in general, people preferred the organic. We then moved onto another of our direct trade Assam teas, a whole leaf Assam from the same farm. 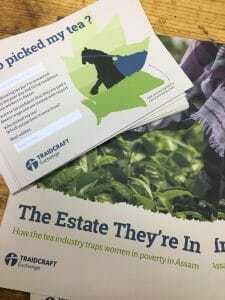 We found this farm while searching for small growers and co-operatives, who could prove that they were providing their pickers with good pay and living conditions. We were impressed with the transparency of this farm – they even have an Airbnb on the farm, and you can get as involved as you want with the farming. 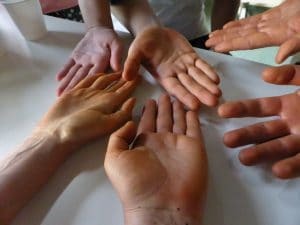 The farm has always been organic, and farmed according to Ayurvedic principles, which we found as being similar in motivation and techniques as biodynamic farming. The Assam from this farm is certified as being organic, but they also supply us with a Darjeeling from a farm which farms organically but does not have certification. Part of the issue is the cost of certification, which prevents small farmers from achieving this, even though it is likely to increase the saleability and price of their tea. We then tried Da Wu Ye, an oolong from a tea grower who we contacted via various social media platforms. Again, we have no certification, but they market their tea as being organic based on the fact that the village is far from any areas of pollution. 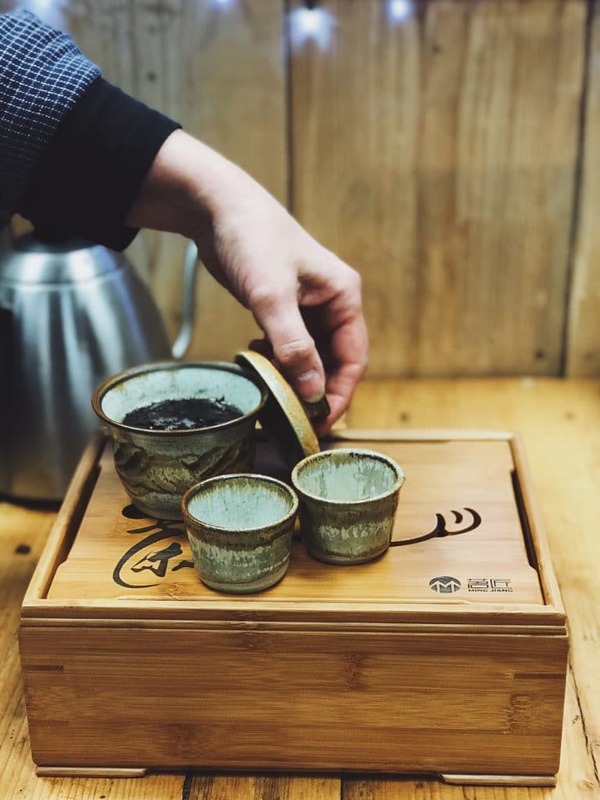 Taking our teas full circle to the way tea was originally grown, we moved on to Pu-erh teas, initially drinking a Sheng Pu-erh, from my personal collection. This was a raw Pu-erh from 100 year old trees, which I get from a tea subscription from a tea explorer who has invited me to visit Yunnan with him when he goes to source teas. This again has no formal certification, but the trees are wild, growing in inaccessible areas. 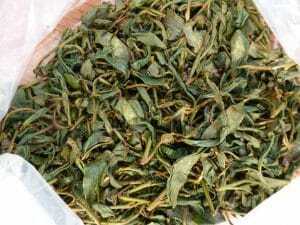 One of the teas we drank is described as orchid-heavy, so clearly influenced by the other plants growing in the area. 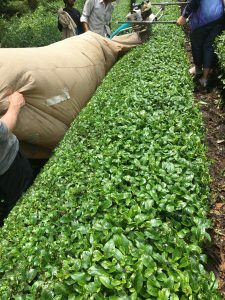 We talked of many other teas and the impact of being farmed organically on the flavour, particularly matcha, where the flavour is often negatively impacted by being shaded but with fertilizer not being used, and of teas grown in the UK, with the difficult conditions for tea growing. If you want to try more oolongs and Pu-erh teas, please book for the tea tasting at the end of February. The first week of the course ended with me feeling exhausted, and really needing a quiet and restful weekend, but the reality was very different. 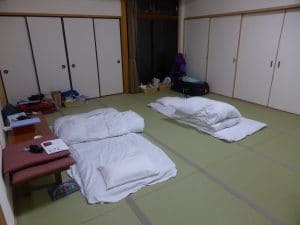 We had no accommodation at the guesthouse for the Saturday night, so I’d booked a ‘pod’ at the Millenials hotel in Kyoto – one extreme to the other, but of course,nobody does this kind of thing better than the Japanese. 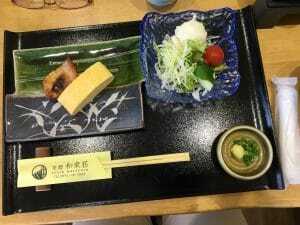 much the historical capital of the area, with thee oldest tea house, as well as some world heritage sites. They were of course utterly stunning, to think that these predated cameras, so photogenic! I realised mid afternoon that I was really hungry, so found a cool little restaurant in the tea area, quite modern but with a good vibe to it, where I had my first coffee for a week, iced, but oh boy was it good! I then caught the train on to Kyoto Station, caught the bus from there in the general direction of my hotel, checked in, and had a mooch around the area, finishing off at what was a vibrant area after dark. 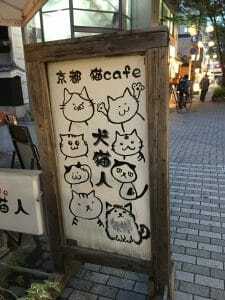 I’m not a city person, so finding a bubble tea bar, and a cat cafe just blew my mind!! 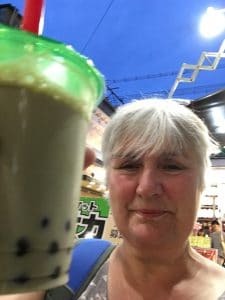 Houjicha Latte Bubble Tea! And the ‘bubbles’ were the proper black tapioca ones, not the fake flavoured ones that you get in the West, that explode flavour in your mouth – you had to chew them! 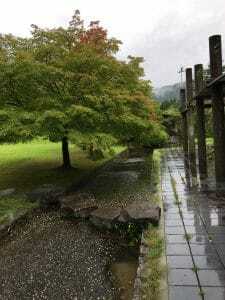 Japan is a country of contrasts, and Kyoto was full of them. 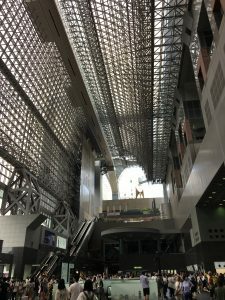 Kyoto Train Station is huge – 7 floors I think, and seems to be a place that people meet, get filmed, have conventions, and there are so many shops and restaurants that you need never leave! 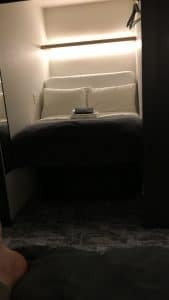 I spent the night at The Millenials, which is a Capsule Hotel. This is a brilliant concept, inexpensive, basic, but has everything you need. I really liked the minimalist approach, the space you have is the size of your double bed, everything from the lighting, the fan, the position of the bed – bed or sofa – is all controlled by an iPhone (only an iPhone 5!) which you get given when you check in – The Millenials is an app on this phone! The showers are amazing, plenty of them, plenty of toilets, there’s a big communal area, with kitchen, working space, and lounging areas. You find it by going into a shop, in which there is a lift, and The Millenials is on the top three floors of this building! I was looking for teaware for the shop, but didn’t want to spend a fortune, so managed to find some nice pieces, for matcha mostly. I’d also sat in a couple of places having a drink, and this has inspired me in terms of what I’m going to do in the shop, although whether it works in Conwy I think will depend very much on the way we market it. I think one thing I’m getting from the course is just that, ideas about the direction for the shop, and the business. 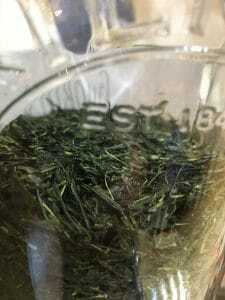 Cold brew sencha, avoids the bitterness and astringency that you can get, and you can taste the sweetness of the tea. The weather has continued to be very hot and humid, but I seem to be coping better with it now, sleeping better generally, although I think the diet is getting to be more of a challenge. Someone sent a link to a weather forecast this morning which says there’s a typhoon on the way, and by this afternoon the weather has changed, cooler, more windy. The rain here when it comes is spectacular, we had a huge thunderstorm yesterday, just after coming down from the fields, but luckily we were in a processing factory at the time – although I do love a good storm and would have loved to be able to see it, not just hear it! Tomorrow we have to travel an hour to a tea auction house, and I suspect it’ll be through rain. I arrived in Wazuka on Sunday evening after a long journey – very long, very smooth until arriving at Kamo station, late because of a delay at Hong Kong, and there were no taxis around. I was so tired by the time I got to the guesthouse that all I did was shower, and go to bed. I say bed, but those of you who have stayed in Japan, in a traditional ryokan (guesthouse) will know that the bed is a mat on the floor. The first couple of hours sleep was deep, but after that, painful, too painful to get much consistent sleep, waking regularly with painful hips, thighs, shoulders. It was a shared room, and I always worry that I snore! I woke the next morning, curious to explore my surroundings, feeling very much the new girl, but I’m happy enough exploring on my own, and was rewarded with the most amazing scenery, which I’d missed completely arriving in the dark. 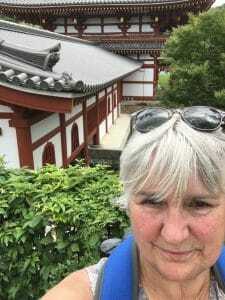 The bird song was the first thing that struck me – I swear they sing in Japanese, with the most melodic, loud, almost metallic musical sound – maybe a familiar sound to those who have travelled, but this is my first time in Asia. This wasn’t the only new experience , breakfast was unexpected to say the least! I’m not one to take photographs of my food, but this warranted a photo to be sure! Then managing chopsticks! Fortunately I’m very happy to laugh at myself, and I sure did that, aware that the space under my bit of table was the messiest. I was also hopeful that this would a help me to lose weight here! We are ten people from all over the world, all tea heads, tea geeks, whatever you want to call us. Three of us are in direct retail, with shops or cafes, others online, some just seem to be travellers with a focus on tea, but what we all have in common is a thirst for knowledge about all aspects of tea, and a depth of knowledge and experience which we all seem very happy to share with each other. Seibiant started very small without a massive financial investment, but I’m stunned by some of these businesses, and I’ll put links to those that I can in this blog or the next. 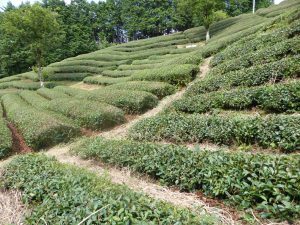 Two weeks is nowhere near long enough for a course to call itself a Tea Master course, but this is providing a good introduction to tea production in Japan, but I’m thinking of it more as a tea buying/sourcing trip, and to find the stories which help me to sell tea to my customers. 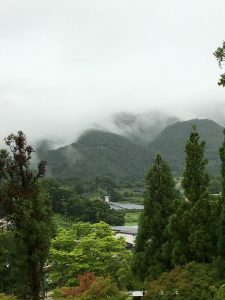 I’ve drunk more tea already in the first three days than I normally drink in a month, I haven’t had a coffee since Saturday morning, and I’m coping fine without, although I’m looking toward to a first coffee in Kyoto on Sunday morning – I hope I’m not disappointed! What else have I done for the first time … I’ve eaten sushi and sashimi and liked them, I’ve had all sorts of things fried in tempura batter – apples! I’ve had matcha ice cream, all sorts of biscuits with matcha, bento box lunches when every part has tea of some sort in it, I’ve picked tea from the field, brought it back to the factory and processed it into black tea, quite a rare tea as it’s from a shaded field, like sencha or tencha, then processed as a black tea. 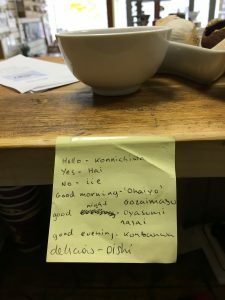 it’s just over half way through the first week, and so far, it’s been everything I hoped for, and more, I’ve already learned so much, and have amazing additions to the shop tea list, direct from the farmer, which is what Seibiant was aiming for at the start. 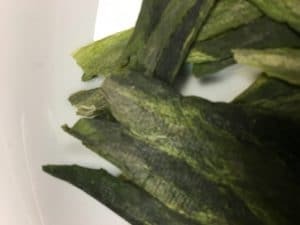 I went home from our Spring Greens tasting this week, wide awake and alert, as I generally am after our tastings, and with a plan to write a new blog about the teas we tasted. In the event, I felt too tired, and went to bed, only to be lying there hours later, wide awake, caffeinated, but to snug to get up and start writing, and knowing of course that if I got out of bed, the Beast from the East was going to be out there to get me! So, chaotic start to the tasting, because of the weather and change of plans etc, but we had two guests, both quite experienced green tea drinkers. The teas I had planned for this evening were some classics, three Chinese and one Japanese, and then as usual, guests were able to try whatever else they fancied. First tea up was the Organic Imperial grade Jasmine Pearls, which is a first flush green tea with jasmine flowers. This is a Spring 2017 harvest tea, which we brewed in a glass teapot, to allow the pearls plenty of room to expand out as well as up. 85°, for 20 seconds initially, gradually increasing the brew time with each subsequent steep. 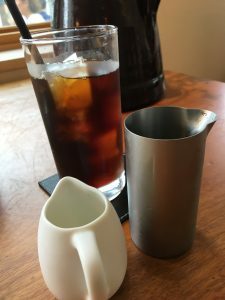 The first steep was if anything, a little heavy on the umami flavour, but that was my fault for a slightly too long steep, but the intense jasmine flavour made up for that. The fresh delicate floral aroma I think was an experience for the two guests – even though one of them had already bought this tea. She said that she was getting new flavours with this brewing than she wasn’t getting at home. The liquor had a pale pink tinge to it, which doesn’t come over in the photo. The mouthfeel is soft, with very little astringency. The second steep was again delicious, with a peachy aroma, along with the jasmine. We went on to have another two steeps after this, becoming more alert and refreshed with each cup! The second tea of the evening was the Japanese classic, shade grown Gyokuro. 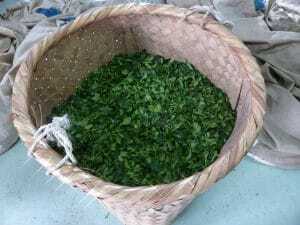 For the last 2-3 weeks before picking, the tea is covered with a shade of bamboo, which encourages the plant to produce more chlorophyll, which in turn means that the tea contains more theanine, the feelgood compound. 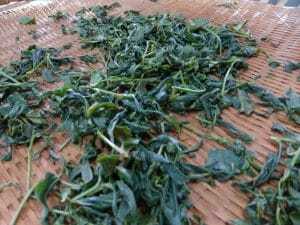 Gyokuro is a stunning dark green thin leaf, a real high quality tea, spring picked and carefully processed. 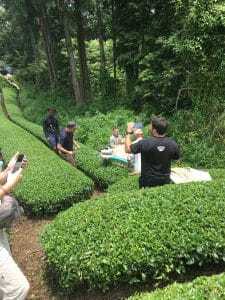 Having watched the Mei Leaf Youtube video on how to drink gyokuro, I decided to introduce our guests to the more unusual ways of brewing tea. This one we brewed first time at room temperature, for 15 minutes. The liquor was thick, viscous, an amazing bright citrine colour, with a most unexpected flavour. Yes, masses of umami, but also a freshness, grassy, buttered spinach, buttery green vegetables, kale, were all words used to describe the flavour. We tried it again with water at 50°, and the flavour was smoother, lighter – unexpectedly! Third steep at 70° was again fresh, still thick and viscous. 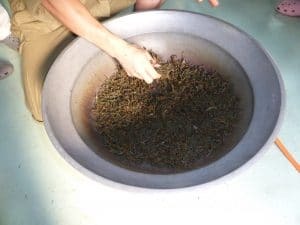 Absolutely delicious tea – we finished this one by tasting the leaves – which were unexpectedly mild – said to be very tasty with freshly squeezed lemon and light soy sauce! Third tea was Long Ching Dragonwell, much much nicer than the Dragonwell we had in the shop before which I thought tasted fishy, but it may have been my inexperience of the umami flavour. Anyway, this one is beautiful, fresh, vegetal, but with an aroma of peach on the second infusion, more of a flavour of beach walks. This had more astringency than the other teas, but that astringency that becomes sweetness in time. We brewed this Grandpa Style, in a long glass, to allow the leaves room to brew, and so we could see the leaves absorb the water and give off their flavour. 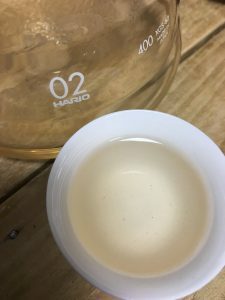 Last green tea of the tasting was an unusual tea, but one which is great for newbie green tea drinkers, and we discovered just why it’s so good. 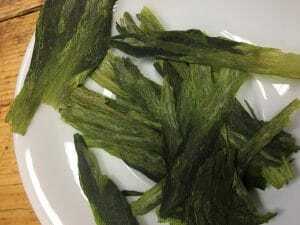 Tai Ping Hui Kui is grown in Anhui Province, this is a huge leaf, longer than your average Siniensis leaf, hand processed, which is what makes it expensive, flattened between sheets of parchment or silk, and rolled until flat. 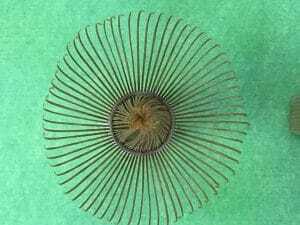 in the second of the pictures below you can see the weave of the fabric on the leaf. The darker patches on the leaf are where there is more than one layer of leaf – the bud and the leaf pressed together. Because of the size of the leaf, I brewed this Grandpa Style again, long glass, 75° water, less than 30 second steep. 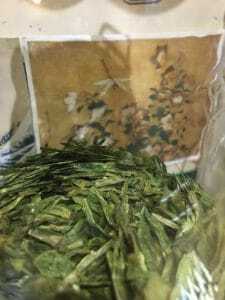 Delicate flavour, floral, fresh, fruity, so unexpected for a green tea. 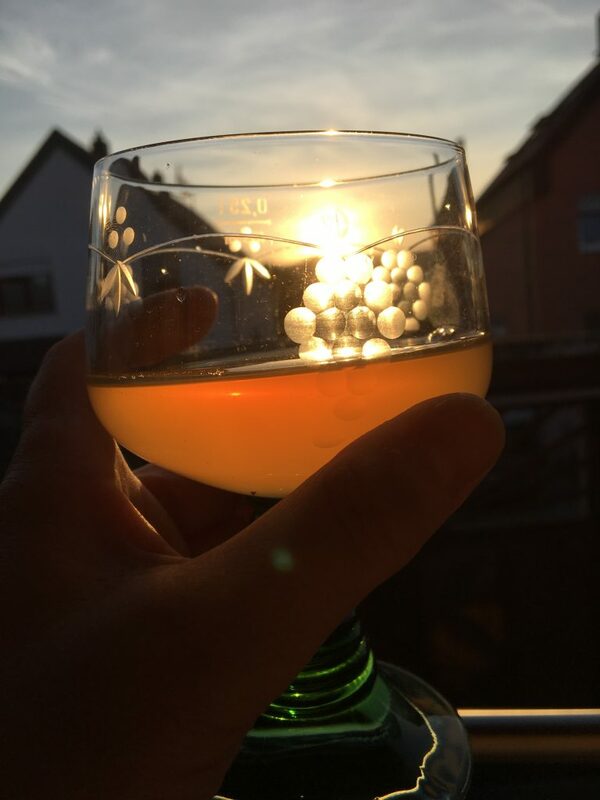 We brewed it a second and third time, and it remained delicious, gentle. 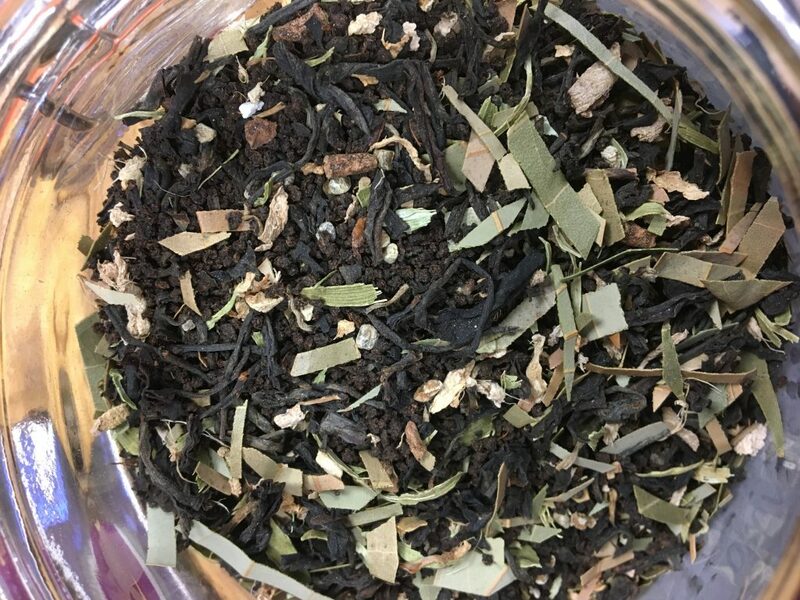 We brewed it a fourth time, but as usual, got distracted by other teas and tea stories, and one of the guests hadn’t heard of Pu-erh, while the other used it daily to enhance his work. 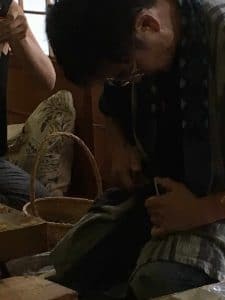 I’m very enthusiastic about Pu-erh, and am always keen to share a pot, so this is what we did, tasting the 2005 Yue Che Yue Xiang a couple of times. We then remembered about the fourth steeping of the TPHK, and not expecting much, tasted it again – wow! Superb – no bitterness – considering it had been steeping 30 minutes! The delicate flavours were all still there, the cool water allowed us to taste all the nuances of the tea. 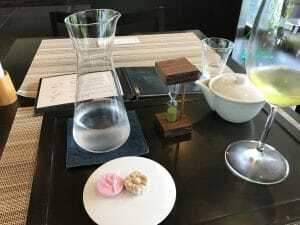 Enthusiastic about the teas we tasted, I decided to write the March blog about the teas, and was planning to stay up writing … but that didn’t happen.